Removes Fan Clutch on most Ford vehicles. 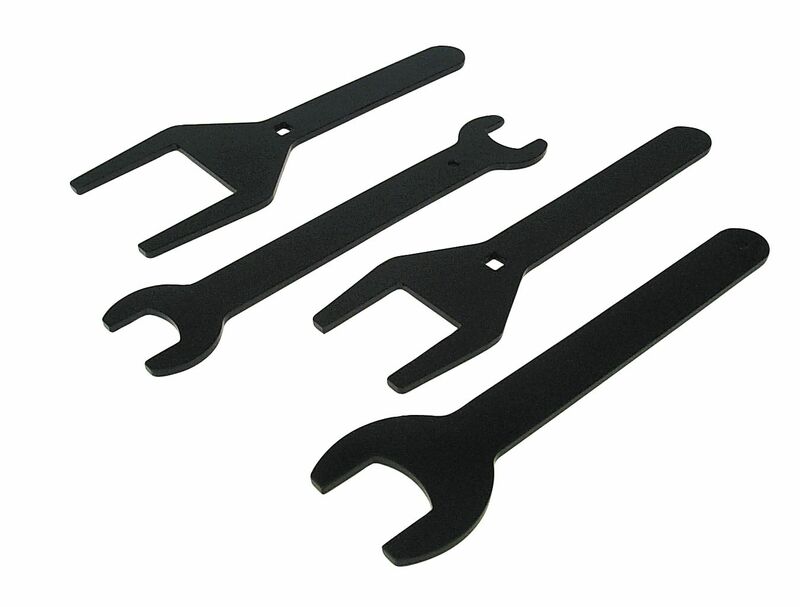 This wrench set removes and installs Ford fan clutches when repairing or replacing the water pump, timing chain or the fan clutch. Set includes two holding wrenches and two open-end wrenches. The double-ended wrench and small holding wrench work on 2.8, 2.9, 3.0, 4.0 and 4.9 liter engines. The larger open-end wrench and larger holding wrench fit 6.9 and 7.3 liter diesel engines. Wrenches are available individually.